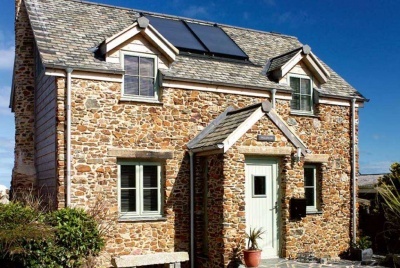 If you’re considering extending a historic home, but not sure how to go about it, then take a look at these great examples of cottage extension design. There’s an interesting mix of design ideas, from harmonious stone extensions to striking, avant-garde additions — all adding much-needed space and light to the traditional cottages. 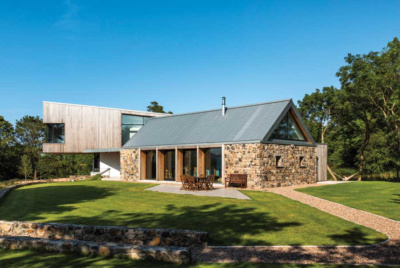 Andrew and Lucy Thompson doubled the size of their cottage in Wiltshire with a gable-ended, contemporary-style extension designed by CaSA Architects. A narrow ‘spine’, located between the two gable structures, clearly defines the different zones within the property. Lydia Robinson and Lawrence Grigg restored two adjoining cottages and added complimentary extensions to the rear. Sue and Roderic O’Sullivan extended their quaint thatched cottage in Salcombe, Devon, to create an avant-garde waterside retreat. The couple thought that building a pastiche of the existing building would be a poor solution, so opted for a bold mix of old and new. 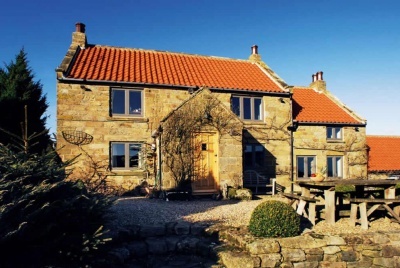 This coastal cottage in the North York Moors National Park benefitted from meticulous remodelling and extension by Dawn and Steven Totty, who used local tradespeople and a palette of natural materials to add to its charm. Over the course of 10 years the Grants reimagined their home in Inverness-shire with the help of their architect daughter, Mhairi (Paper Igloo). The Cor-ten steel cladding echoes the agricultural past of the original farmhouse while the timber cladding provides a warmer, more modern finish. Simon and Sally Robinson transformed their 300-year-old property – on a DIY basis – into a charming period home that’s also perfect for modern living. While stripping away the fixtures and fittings of a 1970s overhaul, they found a whole host of original features. Stand-out architectural and design features have been incorporated into this extension to a Grade-II listed cottage. Liz Kingston sensitively renovated the dated interiors of her Grade II-listed stone property in Somerset, adding a contemporary extension to take best advantage of the light and the rural views. Charlie and Rosie Thomas worked with designer Charlie Luxton to transform their Grade II-listed 18th-century cottage in Wiltshire, adding a contemporary kitchen extension. 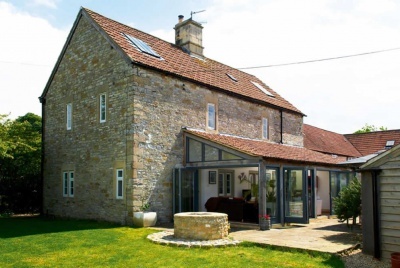 Tim and Janet Brown fell in love with a typical old Derbyshire stone cottage in the Peak District and employed a local architect to create a more practical layout and to open up the small rooms. 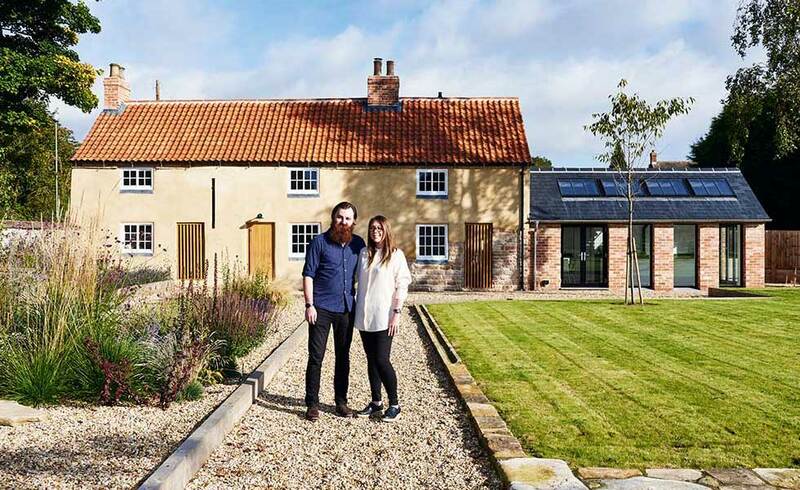 Sean Peel and Alice Shread renovated and extended three Grade II, 17th-century farmworkers’ cottages, transforming them to make a forever home. The couple opted to use traditional techniques wherever possible. In a picturesque village near Bath, Rob and Grace Horton remodelled their listed home, adding a new extension in oak frame and glass. Glazing to two sides of the property opens up a view onto the garden and countryside.